Stimulating your vision and hearing to produce a world you can immerse yourself in is the basic concept behind virtual reality. Here we explain virtual reality and discover how it works. If you want to find out everything you need to know about the virtual world and capabilities you are in the right place. Virtual Reality is now, well, a reality. Everyone from mobile phone manufacturers to stand alone console are getting in the game. The reach is growing, too. Aside from the popular “space flight” world, virtual reality is taking off. What is virtual reality, exactly? In short, it is a computer playing tricks on you. Think of an elaborate optical illusion, except instead of staring at criss-cross lines and seeing them move; you are immersed into another world, place, or time and experience it as if you are there. Tactile feedback, sensory overload, visual stimulation and audio interpretations are just the start. This article will explain what is virtual reality and show you how it works. From there, it is up to you to lose yourself in a game or perform the world’s first Doctor Frankenstein surgery. What is virtual reality? Virtual reality is a trick. It is a computer program used in conjunction with a headset, goggles and maybe speakers as well as controllers to trick your mind into thinking you are seeing something else in a world you aren’t even in. In short, you don a headset that overlays visuals directly into your eyes. The proximity and detail trick your mind into seeing three-dimensional objects. There are sensors in the headset and the controls (if applicable) that let the computer know when you move your head. When the motion is detected, the program running in the visual field is updated. So, if you turn your head to the left, the program shows you what it looks like to turn to the left. As this goes on (and the more sensitive the sensors are to movement) the more real, it becomes to your brain. Because you see in three dimensions through the headset, and the program seamlessly updates as you move your head, your brain begins to forget that it is looking through what appears to be a snorkel mask and thinks it is seeing what is really there. When you add in surround sound, tactile gloves, and joystick controls, your brain is fooled into believing what you see and hear are real and you become immersed in the virtual world. There are several components in a virtual reality set up. Depending on the type of set up, the amount spent and how it is connected, the parts will vary. Some are optional while others are mandatory. The headset is the most important aspect of virtual reality. They are designed to cover your eyes so that you only see through the view portals inside. You are blocked from seeing anything in the real world and only what the computer program shows you. By doing so, you must be careful in your surroundings. Because you are not actually in a virtual world, you can still cause damage to items nearby and harm to yourself. Before putting on a headset, you should make sure you have plenty of room around you to move. When you have the headset on multiple programs, go to work. The first is the video feed. Either through an HDMI cable connected to the system or through the video card in your cell phone, the video is sent to the goggles which either has a single lens or a dual lens. Single lens setups have one screen that both eyes see just as you would be seeing if you weren’t wearing the headset. Dual lens setups use two video feeds for each lens that adjusts for the camber our eyes naturally have, to create depth and three-dimensional images. The next program is called Six Degrees of Freedom. This program (known as 6DoF), plots where your head is on three axes: X, Y, and Z. Every time you move your head in any direction, the program updates your head position, so the video knows what to display. It is believed that the human eye can see up to 1000 frames per second (FPS) However, we also use reasoning, predictability and past events to predict what we are about to see. As our eyes move around, they constantly adjust to what the input is coming in has to say. Screens, on the other hand, do not have these predictable patterns and memory. They rely on refresh rates and slices of time (in milliseconds) to create a frame per second that doesn’t appear to stutter or jump when we view it. As an example, most LCD computer monitors are capable of 60 to 90 FPS, but when the refresh rate is only 60mgz, we will only see about 59 FPS. This is still smooth enough for our eyes not to catch any lags, skips or jumps. In Virtual reality, the frame rate can be anywhere from 30 FPS to 120 FPS (in the PlayStation Vue). The higher the FPS, the smoother the video transition and the more our eyes and brain are fooled. Every headset must be connected to some type of computer. 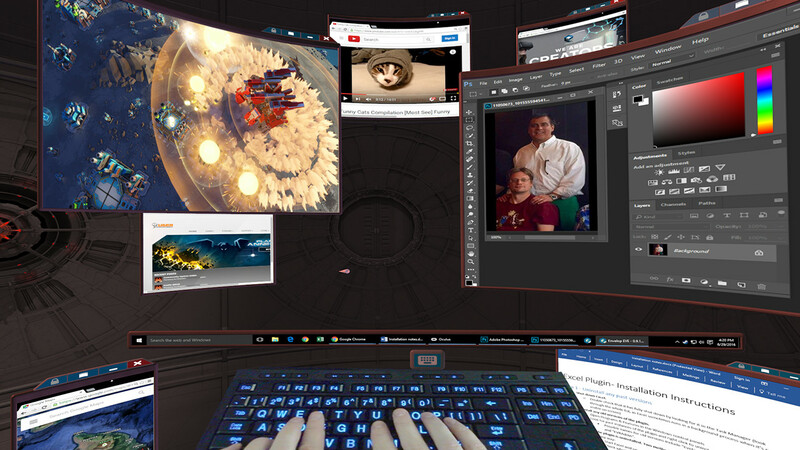 This can be a laptop or desktop computer with virtual reality software installed, a gaming console like a Sony PlayStation or even a mobile phone in your pocket. There are also stand alone virtual reality machines that are all-inclusive. These are the types you have seen in movies and on television where the user gets into a box or a cage and puts on the gloves and headset. 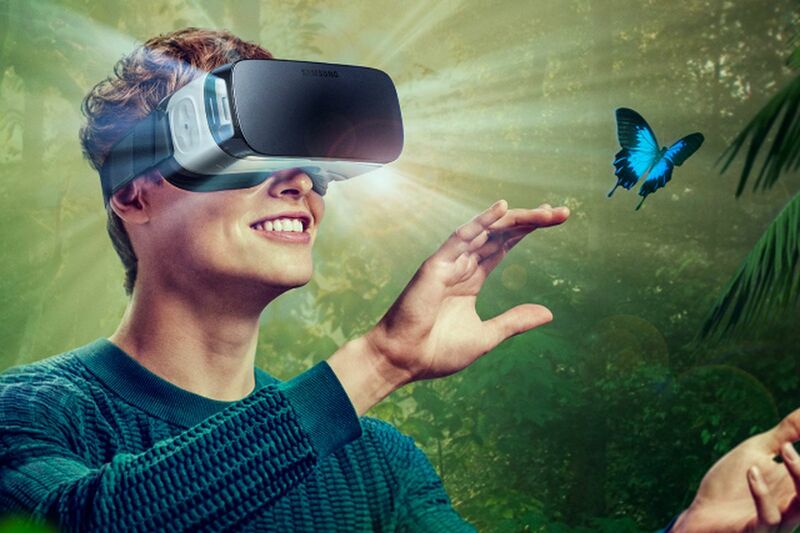 Most home virtual reality systems will rely on an external computer and a long HDMI cable. As with anything else connected to your body, you need to remain aware of the cable limits regarding length and the surrounding areas. It is very easy to twist and turn and pull the computer off the desk or have the cord swipe items off a table. Besides the two mandatory items, there are other bits that can help the experience seem more real. Some headsets will have built-in sound, or you can use an external sound source that is pumped through headphones you put in your ears. You also have the option with some systems of tactile gloves, which allow you to feel your hand grabbing items such as swords, doorknobs or petting animals. The gloves get impulses that are sent through the touch nerves in our hands and wrists to simulate textures, temperatures or even weight. With certain gloves, you can grab a sword handle that isn’t really there and feel the handle and the weight of the sword as you pick it up. If gloves aren’t an option, there are also joystick-like controllers that you can hold. Some will have feedback while others will just be like holding plastic tubes. The most obvious use of virtual reality comes in the form of video games. Virtual reality gaming is coming into every home thanks to Sony, Microsoft, and companies like Bethesda and Oculus. Slaying dragons and running through virtual worlds isn’t just done in video games. Other uses come in the form of training and assistance. Doctors can perform surgeries without having a human body to practice and make mistakes on. Pilots can experience flight patterns and test emergency procedures without putting anyone in harm’s way. NASA and other space corporations are even attempting to use virtual reality to explore other planets like Mars. The rovers sent can send feedback to the host here on Earth which can be controlled with a virtual reality set up that gives the user the experience of being there in person. 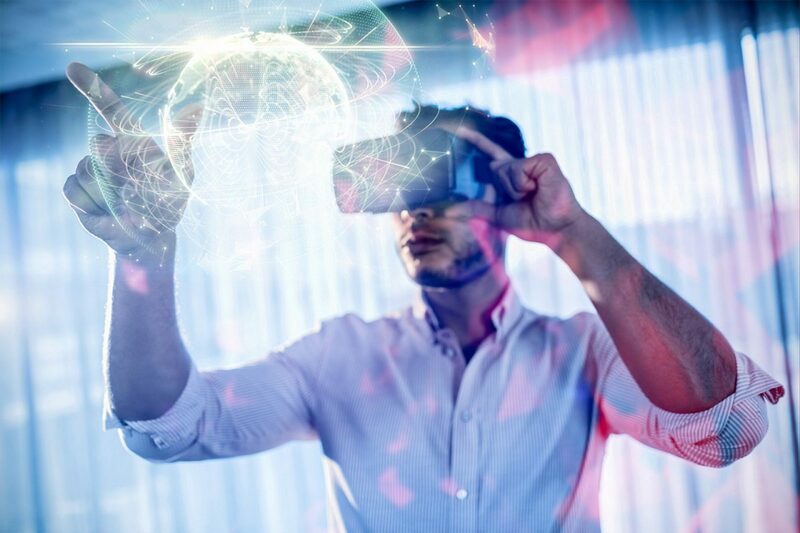 Using virtual reality is still basically in its infancy, though, as technology grows, the setups will become less cumbersome, more useful in a variety of platforms and have less chance of causing damage or injury due to being wired, large and expensive. What is virtual reality? It is a system of programs used in conjunction with headsets and other peripherals designed to trick our brain into thinking we are in a place that doesn’t exist, doing things we aren’t doing and seeing and hearing things that aren’t there. Through the use of total immersion headsets we only see what the computer programs show us, and with speakers or headphones, we hear what the programs want us to hear. We can even add gloves for tactile feedback to help immerse ourselves into the game or program to experience things in real time as if we are there. While complete immersion may be a ways off, what we have today is enough to fool our minds into thinking and seeing things it shouldn’t, all while having fun, testing procedures or taking the risk of losing a human life out of the equation.